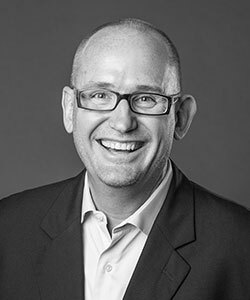 MINNEAPOLIS (February 7, 2017) – Matt Kucharski, a veteran communications, marketing and public relations strategist, has been promoted to president of Padilla. He succeeds Mark Raper, who moves into the new role of chief counsel officer at Padilla. Lynn Casey continues as the company’s CEO. Kucharski joined the agency in 1989. As a member of Padilla’s Executive Leadership Team, he leads the agency’s business-to-business and business-to-consumer practices. In his new role, the agency’s health practice also will report to Kucharski. As a seasoned business counselor, Kucharski has expertise in branding, corporate communications, reputation management and issues management. Kucharski also serves as Padilla liaison to the Worldcom Public Relations Group, the world’s largest partnership of independent communications firms, and served as chair of Worldcom from 2010-2012. He sits on the board and executive committee of the Minnesota High Tech Association, the Twin Cities American Heart Association board of directors and the national board of Pheasants Forever, one of the nation’s most respected conservation organizations. He also performs ad hoc consulting for a variety of nonprofit and community groups. Kucharski has spent more than 15 years as an adjunct instructor of marketing and strategic communications at the University of Minnesota and frequently serves as a panelist, guest speaker and moderator on a range of strategic communications, marketing and business strategy topics. He graduated with a degree in journalism and business administration from the University of Wisconsin-River Falls.